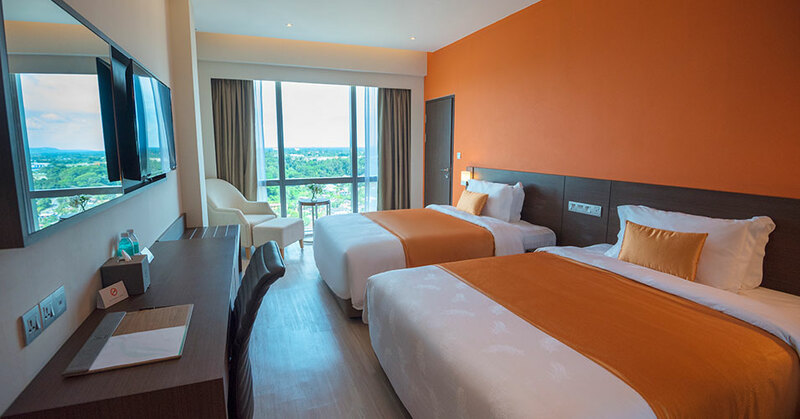 Whether you're just off a flight, or booking in for a staycation, you will be hard-pressed to find more luxury in Kuching than in our 272 luxurious rooms and Astana suites with a choice of King bed or two queen beds all uniquely designed with luxurious interiors and powerful WIFI. 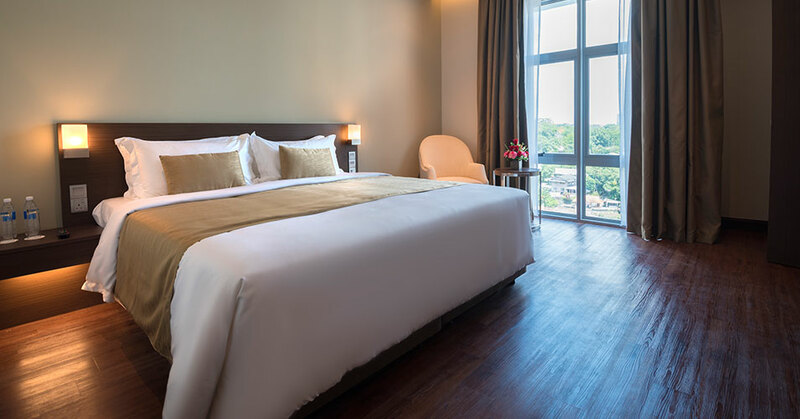 Indulge in our fluffy beds and virtually pleasing bedroom wallpaper art overlooking the spectacular Kuching waterfront or city centre, you may never want to leave the room. Don't hesitate to call our friendly room service and go on a gastronomical trip to experience our local and international menus. Went out to take in the sights of Kuching city? Take the day off in your private bathroom equipped with our unique rain shower. 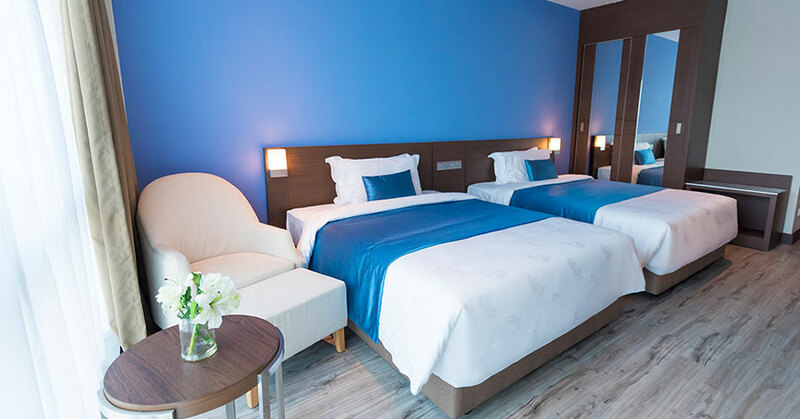 All rooms are furnished with LCD TV, Full Length Mirror, Bio-Amenities, Safe Box, Bathrobe and Slippers. Hemisphere brand is the Riverside Majestic Hotel Astana Wing's fashionable line of choice. 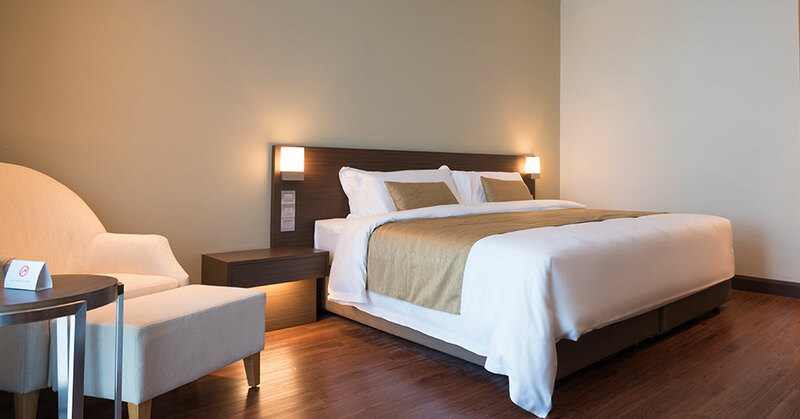 In each room, Hemisphere amenities set is prepared for guests to enjoy. Sharing a delicate yet distinct fragrance, shower gel, shampoo and soap invites guests at its rooms to freshen up, re-energise and revitalise after a long flight or a long day. Other amenities are available upon request.